Why Do Dental Implants in Colorado Springs Fail? When it comes to replacing lost teeth, dental implants have quickly become the preferred solution as they are permanent. More than 500,000 dental implants are placed each year because they offer over a 95% success rate. Although they are the most predictable and successful form of all dental procedures, there is still a minimal risk for implant failure. While it is rare, there are certain instances that could cause your dental implants to fail. To help promote the longevity of your dental implants in Colorado Springs, you need to choose an implant specialist. The most common reason a natural tooth is lost is due to trauma or periodontal disease. Periodontal disease is an infection in the gums that causes the tissues, tooth, and underlying bone to deteriorate. Although dental implants are not subject to decay, they remain susceptible to gum disease. When oral hygiene is not maintained after the dental implants are placed, gum disease can develop. To reduce the risk for implant failure, it is essential oral hygiene is maintained. You will need to brush your teeth two to three times a day while also flossing daily. To reduce bacterial accumulations, the implant posts and abutments require special attention when cleaning the area. In addition to your at-home oral habits, you also need to see your dentist regularly. Late implant failure can also be caused from excessive chunks of dental cement. When there is too much dental cement, the area will suffer from chronic irritation. To reduce the risk for this, you need an implant specialist in 80909 to handle your dental implant procedure. Late-term failure of dental implants can also be caused from extensive pressure or strain on the implants, such as due to bruxism. The pressure from tooth grinding causes trauma to the replacement teeth. As a result, those with the condition will require a mouthguard and frequent monitoring from the dentist. When dental implants are not performed on the ideal candidate, the risk for implant failure significantly increases. In most cases, as long as the gums are healthy and the underlying bone can support the implants, you can benefit from this tooth replacement option. However, those with medical conditions that hinder the body’s ability to heal and fight infection cannot get dental implants due to the risk for failure. How Can I Promote the Success of My Dental Implants? If you are considering dental implants, you will make a wise investment in your dental health. To ensure the success of the tooth replacement, you need an implant specialist, like our team at Rocky Mountain Periodontal Specialists. We are specially trained in periodontics, which allows us to promote the success of dental implants. After performing an initial consultation, we ensure the precise placement of the implants while helping you reduce risk factors for implant failure. With the right periodontal team by your side, you can rest assured your dental implants will last a lifetime. If you are ready to restore your smile with dental implants, call our office today to schedule your consultation. 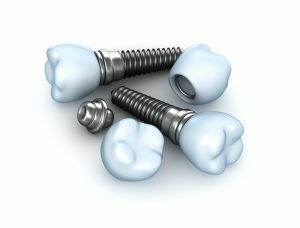 Comments Off on Why Do Dental Implants in Colorado Springs Fail?